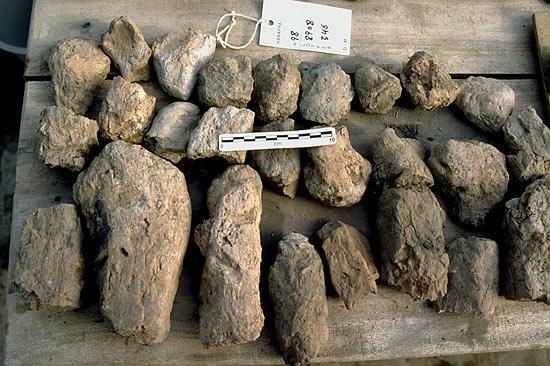 The pre-Indus civilization or so-called Ravi phase around 3000 BCE at Harappa yielded hand-formed mudbricks. Here, we can see the bricks very obviously lack uniformity in size and shape. There is a remarkable difference between these bricks and those from later periods such as those seen in the Mohenjo-daro Well and Platform. Other artifacts from this period include Ravi Phase Jewelry and the Pedestal Vessel.